Book one of The Ancestors’ Secrets, a magical realism, alternate reality, fantasy trilogy. Book two of The Ancestors’ Secrets, a magical realism, alternate reality fantasy trilogy. "​I loved this book. It is filled with fantasy, intrigue and a slice of wonderful Hungarian History. Author Erika M Szabo takes us back in time to the beginning of a horrid family curse. She expertly weaves this story through both today's timeline and that of yesterday's and brings us out on the other side with an amazing ending." Suitable for young adults suspense. Is it possible that an ancient curse cast by a powerful witch sixteen-hundred years ago could destroy families in every generation for centuries? Dark family secrets separated Sofia and Daniel when they were children, but fate brought them together years later. Jayden, Sofia’s brother, finds a leather book in his grandmother's secret room that was written in 426 by a shaman. Reading the ancient runes, they learn about their family's curse. If it remains unbroken, the curse will bring tragedy and ruin their lives as it destroyed many of their ancestors' lives. Could they find the way to break the ancient curse? A glimpse into the lives of teenagers in present and past. How mental illness and the rejection of people who love differently effects families and peoples’ lives. ​A collection of humorous anecdotes, heartwarming stories, and slice-of-life tales that evoke a wide range of emotions. Short stories about life’s humorous, happy, and dark moments. Some of the stories are from my years in nursing, Steve's clumsiness and my cooking disasters might make you spit out your coffee laughing. The stories of my pets will put a warm smile on your face, and the stories about life's darker moments might make you wipe a tear or two. Without darkness there can be no light. We can’t enjoy moments that make us smile. We can’t get through moments that make us sad. The Rainbows and Clouds by Erika M Szabo is a collection of fun anecdotes, heartwarming stories, and slice-of-life tales that evoke a wide range of emotions. It's impossible to choose a favorite story because I loved them all, particularly the tales that explored the challenges of having a pet. There are several stories within this collection that explore the best - and the worst - of humanity. We are reminded that not everything, or everyone, is what they appear to be and that the best things in life are often surprises. I would absolutely recommend this book to everyone! It truly is something special. ​Ilona is about to turn 29, an age which holds a great deal of meaning in the Hun society. There have been many hints about her destiny being revealed at that age, and her true calling coming to a full potential, but in the absence of her mother, who has passed away a while ago, Ilona lacks somebody to guide her. Sure, there is Elza, the devoted housekeeper, who sometimes reveals a small snippet of the True Hun stories, but Ilona does not understand too well what she is about to encounter. Who exactly are the True Huns? What is the meaning of rather puzzling behavior strangers have exhibited towards Ilona since an early age? Why has her mark changed color? Having more of her healing powers bestowed upon her, Ilona is struggling to understand what exactly they are and how they work. To make her life even more complicated, she is suddenly torn between two gorgeous men. Bela has been her constant companion and best friend since childhood and Ilona has always wanted them to be more than just friends. Then there is Zoltan, who has entered her life recently, and to whom she feels immensely drawn, yet she is also somewhat terrified of what she glimpsed in him. Is either of those two her true love? Can she find the happiness she so desperately seeks? Erika M. Szabo’s story introduced me to a whole new world of True Huns, fascinating beings who originated from what we nowadays call Hungary. The stories of my early days, those about Turul bird and Magyars and Huns, as well as some of the customs my grandparents insisted on, most notably always serving refreshments to anybody visiting, brought back many happy childhood memories. But Ms. Szabo took them much further and spun out a magical story of a special race, the Huns, gifted with many extraordinary abilities, yet living among the other, ordinary humans. I’ve greatly enjoyed the glimpses into the past, as well as many of the fantasy elements of the story, and I was truly curious about the love triangle between Ilona and the two hunks courting her. For all of those aforementioned reasons I would love to see the continuation of this mesmerizing story. I loved the characters. Ilona and Bela friendship was so sweet and at times I felt bad for Ilona for her feelings were far deeper than Bela’s. Ilona keep them hide well though. Zoltan was perfect a True Hun like Ilona but are they destined to be mates? What is Elza hiding? Can Ema heal from the past? I recommend this book to all. A lot of the medical references were right on. Erika has just knocked it out of the park with this book. ​Birthright!!!! Where do I begin to count the ways!!! Wow I found this book to be astounding!!! By far the most vividly interesting paranormal romance book I've ever read. It is about a "girl” named Ilona; who by “Hun” culture standard is not yet a woman until the age of 29. She does not quite understand her true destiny until then. Birthright Bestowed is well written in such unique manner, you cannot help be captivated to the end. I must say it’s nothing like I've read before. I could feel and visualize what was gaping as if I was right there. I love Ilona and Bela friendship. Mmmmm. So if you’re looking for a book that has bit of everything from love, fantasy, special powers etc. This is totally for you. In fact if I were you I would get my copy now!!!!! A definite must read!! I want to give you my overall impression of your work: You have a terrific writing style. You have obviously done a significant amount planning and preparation in crafting your work. Your prose is nicely written with details that capture the reader. Right from the start your plot was very engaging. You do a nice job of slowly making your way through the story with details and a certain voice that allows your reader to really interact with the characters (who are all round and very nicely developed). The greatest value in fiction, it seems to me, lies in what we can learn about our own lives when we take time to analyze someone else’s — even if that someone else is just a character in a story. Characterization is one of the most important elements of any successful story. I always love it when I leave a story feeling like I know the characters. This is true for your prose. So many authors rush through their stories without really developing them. Not you. Your book read like a movie in my mind. You have crafted a quality piece of writing. An amazing book involving a young woman who has Hun heritage along with its magical powers and knowledge. The storyline is intricate and full of captivating details about her family and tradition, I was hooked right from the very start. I enjoyed the details about the character and overall this book that centers around ancient rituals has been interesting and fun to read. Highly recommended. Protected by the Falcon is an enjoyable, engaging read. Szabo has provided a unique book combining fantasy with roots in the myths and legends of an actual historical people. I bought Protected by the Falcon in one of those promotion deals. I was intrigued by the description of blending current time with legends of power and magic that are as old as dirt. Besides, ebooks are not that expensive, less than an extra-large cup of service station coffee, so I figured if I didn't like it then it would be about the same as leaving the aforementioned cup of coffee on the roof of my pickup and driving off. Not the end of the world. I settled down one evening with Falcon in my hand and gave it a try. I was a little tentative because although I like fantasy, wizards, power mad ancients and the like, I am not one of your regular romance novel readers. What a nice surprise for me. First, I was taken with the protagonist, Ilana. What's not to like: smart, some sort of ancient magic running through her veins, and beautiful? The story is languid at first, a bit slowish I was thinking, but then it dawned on me it was the pace of Ilana's reticent approach to the world. No, not withdrawn, she is an ER doctor after all, but her social presence is, well, distant. Now I was in the rhythm of the book and engaged to the extent I neglected some of the things I was supposed to be doing. It was a romance novel and there were times that I was disengaged from the description of the gorgeous guy with the rippling muscles under the perfect silk shirt and perfectly contrasting pants, but perhaps that is because I don't have said rippling muscles. Or a silk shirt for that matter. I have several things that I watch for when I read a book. If distracted by any of them, I start thinking less of the book. Too many of these distractions and I metaphorically put it on the roof of the pickup and drive off. First and foremost - the characters. Do I care if they walk the surface of the page? Check. Szabo presents us with well-developed characters; the protagonists are worth rooting for, and the antagonists are nicely evil. The second thing is the story. We have all read books where the characters are great, but the story is banal. Check again. In Falcon, pay attention at first because the characters are introduced rather quickly and have unfamiliar names for most of us, but soon the story had me and I was interested in where it was going. Third. Mistakes that take you out of the story, things that make you suspend your disbelief. Every story has one or two of those, but when they are egregious and rip you from the world you are in? To the top of the pickup. Check – none of those moments. Fourth. Does it fit within the genre that it claims to inhabit? Check again. Falcon blends fantasy, romance, ancient power and the modern world. Nice. Fifth. When I finish do I think, "well that was sort of nice but I could have been shampooing the rug instead." Check. I just bought book two in the series. I like the characters, I am engaged, I care what happens, and I want to know how this story comes out. Added benefit. Without spoilers, and writing a synopsis of the book, I can reveal that Szabo has taken the ancient culture, legends, and myths of the Huns and used that as the ancient driving force behind the story. She does not over use the material, but does so with enough teasing detail that I want to find out more about the history of the Huns. OK. You know I like the book by now, enough to get the next one and move it to the top of my reading list. So what are the negatives? Just one for me (other than rippling muscles and silk shirts, but that is a personal problem), only one tiny, tiny bit. It was just two paragraphs long, but it made me chuckle. Szabo is a medical professional and the book takes us in and out of the hospital and ER. Once, and only once for a very short paragraph or two, she preached to me about how nurses are treated in hospitals. But, it is forgivable - certainly nothing that detracted from my enjoyment of reading this book. Now I must go continue reading the second book: Chosen by the Sword. 5 stars Awesome and Facinating!! What a facinating story about the Huns and their Heritage. It's done in an unusual style-some through diary entries. She brings thre characters, legends, magical powers and history to life. Ilona is a Hun and a doctor in the ER. She has been taught certain things of her heritage and has the power to freeze time. When she turns 29, she receives the power of healing. Due to the death of her parents, she hasn't learned everything she should know about her abilities. No one can tell her anything, she has to learn on her own. Zoltan is also a Hun and a doctor who has been transferred to the same hospital where Ilona works. He has the power of the Traveler. He can time travel to anyplace and in any time. They are both very attracted to each other, but will their heritage allow them to be together? They are both still learning more about themselves, their abilites and the Hun Heritage. I really enjoyed this story and it gives some insight to the Huns and their culture. I was given this book as a gift for an honest review. I really enjoyed this book. It had my full attention throughout, especially with the different character point of views. It kept me reading and I found it hard to put down. I felt like I could relate to Ilona. Learning about the Hungarian legends was particularily interesting for me as my grandmother immigrated to Canada in the late 1950's. It has the perfect amount of realism to pair with the fantasy aspect. I can't wait to read the next book. ​Epic Fantasy! Well written. This is a book I can easily recommend to anyone that loves magical fantasy. I read the original title, "Birthright Bestowed" in 2013 and just recently I found out that it has been edited and extended to make "Protected By The Falcon". I loved it then. A thought provoking story that had me turning the pages to see what happens next. Being a Hungarian myself, I was always looking to read more about my ancestors, fiction and nonfiction literature. This book brought back many memories of the stories and legends I read and heard. The author has the ability to draw the reader into the story by weaving fact and fiction together and make it believable. Written in a diary-kind format, the different characters tell the a beautiful story. And love it even more now with the additions, giving a little more to the whole story. It took me a while to get around to reading this book as I had many others to read before it but wow I am so glad I did. It is so original and well written it had me hooked from the start. I was lucky enough to get it free from the author through Facebook and I'm so glad I did as I had not heard of her before and probably would not have seen it otherwise. I have already bought book 2 'Chosen by the Sword' and can not wait to start reading it. It will without doubt be next! ​A fictional story based on the life of Ilona which was gained from the author began reading about the life of her ancestors, the Huns. This was in search for one heritage. When reading this novel you can feel the author's enjoyment and the fictional characters come alive as the story progresses. This is a well written fictional novel one that is easy to follow as the writer moves from scene to scene. I really enjoyed this book. It’s a great story told from a unique perspective. It didn’t feel like the same old same old, an interesting that drew me in and kept me reading. The only thing that disappointed me was that you don’t get the whole story. No cliffhanger ending (not a big fan of those), but definitely left me wanting more. I would highly recommend this book and can’t wait for the next one. 5 stars A thoroughly enjoyable read! 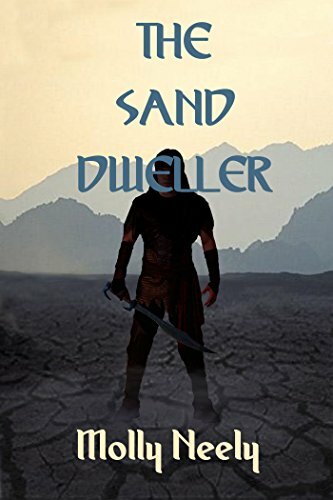 I was very pleased to come across this Fantasy novel because it is much more aligned to my taste in such books, namely real people living in our world, but gifted with special ‘magical’ powers. The first sentences already grabbed my fascination, and the easy flow of the entire book continually held my interest and curiosity. The author has skilfully let the main characters talk in the form of diary entries, and with natural dialogue and careful descriptions of thoughts and feelings, the reader soon feels intimately acquainted with them. Particularly interesting is the fact that many aspects of this story are based on fact and history, namely the Huns who lived in Eastern Europe some 1500 years ago. It is therefore not too hard to believe that ancient traditions and secret rites could have continued down to our time. The main character, Ilona, is a young doctor educated in the modern world who at first struggles to comprehend the depth and power of her heritage when she ‘becomes of age’ at 29. Fascinating and fun to read is the way she discovers her special healing abilities and in particular, the way she can slow time around her. Even more intriguing is her handsome love interest, Zoltan, who can time-travel, but always within limitations and ancient law. This first book in the series has been cleverly woven with various threads that continue into future books, and needless to say, I can hardly wait to read Book 2 and find out which man is Ilona’s true love, what her ultimate great destiny is, and what menace is still pursuing her with evil intentions. This is a book I can recommend to anyone interested in this kind of historic fantasy involving ancient traditions and down-to-earth characters of our own world. ​I was fortunate in being asked to beta read and then to help edit. I was so immersed in the story line, I was looking for the next installment in this series. Great read. Believable, loveable, characters you want living within your walls, but settle for on your shelf or your kindle or both. Similar to the Guarded Secrets series, Erika M. Szabo has added more back-story about the history of the Huns, as well as more present day ER drama. It's a quick and delightful read which left me in eager anticipation for the next book in the series! 4 stars A Different Kind of Paranormal! In this wonderfully different and debut paranormal novel, Erika M. Szabo introduces readers to a fascinating world of ancient rights conducted by a secret order. Protected by The Falcon, is a fast-paced story where magic collides with reality and creates a fascinating tale. Meet Ilona, a young doctor, who lost her parents at an early age. Ilona struggles without the support of her mother, to learn the wisdom and secrets of the society in which she is a member. She will have to understand the traditions and rules of her Hun ancestors as she slowly recognizes the powers she has inherited from them. Her life is further complicated when she meets a handsome doctor, who seems to be accompanied by an evil presence that she cannot comprehend, and which may threaten her powers and her life. The choices she makes, and the people she meets, drive this mysterious and magical tale forward. Erika M. Szabo has much to offer in this most unusual story. Her characters are well developed and the plot line is extraordinarily different. I was fascinated by some of the Hun traditions and history scattered throughout the book. I am sure readers will look forward to the next installment of Ms. Szabo's series. I have always leaned toward the paranormal in reading and real life. This book created that fantasy for me. To add true historical events, the coincide all the clans and creatures, left my imagination breathless. I was drawn in from the beginning and felt the pull of the storyline draw me in deeply and deeper. Thank you Erika, you gave my heart and dreams a immense gift. As I began reading this story, I noticed a lot of mistakes throughout the story and a few places didn't make any sense. But with a little help and some extra work done to make the story more understandable, the author has really brought this story to a new and improved level of pure enjoyment. I was extremely entranced by the plot and I fell in love with each character in this story. I loved the enchanted mystery of the story and how the author was able to capture my attention from the beginning to end. I was intrigued by the story of the Hun and the magical and mystical writing of the Rovasiras. I loved how she added real life places, legends, and events throughout the story to co-inside with the fantasy parts of the story. I love the energy and the imagination of the author. This author is a fabulous storyteller. This is a phenomenally written and entertaining story that will capture your attention and keep you wanting to read more. I highly recommend this to all Paranormal Lovers. This is an awesome debut story and I am anxious to read more from this awesome author. I also love the new book cover too. I received a complementary copy of this book to edit and give my honest opinion. All of us at some point wonder about our heritage, whether it be, traditions, religion, or even physical characteristics. Ilona a beautiful Emergency Room Doctor has basic knowledge. However, family members are keeping certain secrets about her ancient Hun heritage until she reaches 29, the age of maturity by Hun tradition. A longing for the truth ,an empty hole in her heart, memories out of reach and a ache of romance all separate yet intertwined. One would have to read this story to truly capture the magical essence of the Hun tradition and the beauty of their rituals. I was given birthright bestowed as arc for my honest opinion,Birthright!!!! Where do I begin to count the ways!!! Wow I found this book to be astounding!!! By far the most vividly interesting paranormal romance book I've ever read. It is about a "girl" named Ilona; who by "Hun" culture standard is not yet a woman until the age of 29. She does not quite understand her true destiny until then. Birthright Bestowed is well written in such unique manner, you cannot help be captivated to the end. I must say it's nothing like I've read before. I could feel and visualize what was gaping as if I was right there. I love Ilona and Bela friendship. Mmmmm. So if you're looking for a book that has bit of everything from love, fantasy, special powers etc. This is totally for you. In fact if I were you I would get my copy now!!!!! A definite must read!! Ilona takes her job seriously and she is a caring person. She is always looking out for other people; her adopted family and her patients at the hospital. She has always wanted to know about her heritage and often is confused by it. The life of a Hun is very secretive and you find out the details when you reach 29, usually from your parents. Ilonas parents died 11 years ago and she is unable to talk to anyone about it, as those who know about being a Hun suffer if they try to talk about it. On Ilonas 29th birthday, things start to become complicated. She starts to see things differently and her powers start to descend on her. She doesn't understand at first but after time she understands what is happening. With trial and error she is able to figure out how these powers work and use them to help others. She also has an instant attraction to a stranger and finds her feelings are conflicted and is surprised by the connection. I enjoyed this story as it is told in diary format where the main character, Ilona, is reflecting in detail about her past. A few times we changed POV's as Ilona asks Zoltan and Elka to describe what they remember in her diary. The plot built slowly as we discovered the details along with Ilona and I found the journey to be entertaining. What happens next in their lives will be interesting!! I received a free copy, in exchange for a review. Being part of an ancient race of people, Ilona's upbringing is not that different from others. Being a True Hun, with certain traditions, she is just like everyone else. Except, one day, when she reaches the first stage of adulthood, on her 29th birthday, mysteries start to revel themselves, to her, but not fully and all in half stories. Being a Hun, there are three main stages of life, at the ages of 29, 40 and 60. Since she is just reaching adulthood, there are certain things that are starting to make some sense, but not really. If only she had not lost both of her parents in a car accident ten years prior, would she have help from someone, to help her understand exactly what is going on. She has her close knit "family" of Elza the housekeeper, Ema, Elza's daughter, Rua, the groundskeeper and Bela, her long time best friend. 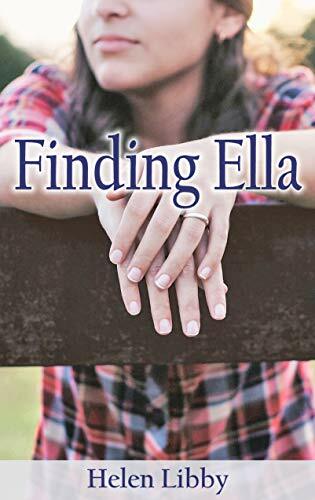 But, after her birthday, things start to change and she really wants to get to the bottom of the mystery, since she has been in the dark, most of her life. "I can't even comprehend all this. Yet who in their right mind could understand my time travel either? This Hun mystery is just too complicated to understand. Moreover, how can we find out who sent those dreams and who were they meant for. Most of all, who is the one so determined to kill you?" This has such an interesting background, not just your normal, we are special people, with special gifts. I like how the author has twined all of these characters together and when you are finished reading it, you understand why certain people are the way they are. Fun, fast read! I can't wait to get the next one, since I really want to know what ends up happening! 5 stars Engaging and enchanting story! The best kinds of stories are ones that play in your mind as you're reading along. Erika has certainly accomplished a feast-for-the-senses story! Erika's descriptive writing is both simple and complete. Be it describing how a character looks, how a dream feels, or how yummy lunch looks, this story played inside my head beautifully. Experiencing Ilona's journey as she turns twenty-nine and begins to find out what her destiny and purpose in life is was a treat. Intelligent, caring, self-strong and clumsy, Ilona is a perfectly written central character. Each time she escapes into her "time capsule" to think you are treated to a very busy mind at work. The integration of the main characters' Hun heritage added both historical and mysterious treats. With the inclusion of time travel, unclear rites of passage, and a menacing stranger, Erika wrote a story that I couldn't consume quick enough. The dynamics between the characters are wonderfully written. Reading along, you feel the instant connection Ilona and Zoltan have for each other, the loving yet quirky bond between Ilona and Bela, and the strong familial ties that Ilona, Elza, Ema, and Rua have formed. There is plenty of mystery, secrets, history, love and even silly (chipmunk) moments to round out this story into a superbly written tale. Unfolding in a natural rhythm, Birthright Bestowed is an exciting and wondrous novel. Kudos to Erika for a well-rounded and creatively written story. I know I'm more than ready for Book 2! ​Where do I begin? There is so much to tell. Excitement, mystery, suspense, danger and most of all love. Not just love between a man and a woman but love between family and friends as well. Ilona has just turned 29 and has discovered a secret ability about herself. Scared and feeling alone, she doesn't know who to turn to for answers. The only people she can turn to, her parents, are no longer around. Her adopted family is strictly forbidden to tell. Feeling alone and scared she attempts to piece the secrets from her past and the secrets from her present together. As she takes us on this journey, she meets the man of her dreams and the dark man of her worst nightmares. I cheered her on as she slowly connects the dots leading up to her frantic decision to hide one of the most precious secrets of her life. I was left wanting more and quickly read the 2nd book in the series, Secrets Revealed. Waiting for my book 3 fix. I absolutely love this story. It's full of mystery, suspense, danger and let's not forget the handsome stranger who falls in love (at 1st sight) with Ilona (the amazingly smart and very lovable heroine). I loved the Hungarian touch written into the beginning of each chapter followed with the English translation. Though, I would love to actually hear the Hungarian version. I think it would sound so amazingly intriguing. This story took me on a wonderful journey through the past, present and future. When Ilona turns 29, becoming an adult by Hun standards she finds she has an extraordinary gift. She is left frustrated & determined as she tries to figure out what this gift really is and what she can do with it. I found myself feeling her frustrations and rooting for her when she finally puts the puzzle pieces together. We are left hanging at the end of the story not knowing the full outcome of one of the hardest decisions she has had to make. ​This wonderful book really piqued my interest in Hun culture and language. Told in a fascinating way through journal entries by the characters we learn of a centuries old traditions which are closed to outsiders and filled with magical lore. One of the aspects of this book I really enjoyed was Ilona's entries which reference the medicinal and religious aspects of various plants and flowers. Each chapter, as I remember it, contains these intriguing short glimpses into traditional medicine and beliefs. It is, at its core, a romance novel. But it is also a thriller with dark undercurrents of mysterious and dangerous forces at work. As a first book in a series, it sets the stage for an epic saga about complex characters, relationships, and secret traditions. I enjoyed this one greatly and am anxious to read more about Ilona, her gifts, and her family. 4 stars Like NO other supernatural story! The story was fabulous, I sat down and was easily wrapped into the story. I was so impressed by the Hun Tribe and Ilona! It wasn't too fast or too slow it was... Just..... Perfect! It was inline any other story I have ever read. I look forward to reading more from this series and this author!! ​What can I say, I loved this book and the story, it was amazing. I stepped into the world of Ilona and she took me on a journey. Ilona is a great woman who is coming of age at 29 ( nice to see older females in a book). Ilona has a good career and friends, but she lacks in self-confidence when it comes to herself. You will meet some considerable people in this world, and it was very refreshing and exciting. This book is like sitting down to watch your favorite TV show...and you just can't wait to see what happens next. Now I must go and see if book 2 is available I can't wait. We all need a little Fantasy at times, and this is the book for that. Ilona is a unique heroine, and is part of the line of Huns that still exists in the present day, though they keep their rituals a secret. I found Ilona to be tough, smart, and entertaining. Szabo manages to create the complete woman. This isn't your grandmother's romance. Due to the death of her parents, Ilona doesn't receive the typical instruction as to the purpose and use of her powers--mainly the ability to heal--and she is left to piece together her abilities and her tribes past using nursery rhymes taught to her by her mother. Very clever and well written tale. ​The great story line takes Hun legends heard years ago and brings them to life in today's world. Birthright Bestowed is a creative blend of love, fantasy, history and simple 'life happens'. Erika incorporated the meanings of flowers in a manner that adds unexpected richness. Her characters resemble people one actually knows. The events could happen to anyone. Her treatment draws the reader to look for more. The author gifted me this book, Birthright Bestowed and I am glad she did. It is well worth reading. Oh how I totally loved reading this book and cannot wait to read the next ones. I found it so easy to read and easy to follow, hence making it easy to finish rather quickly in one of those middle of the night 'must finish' sessions. I was captivated by the main character Ilona, and the way the book was written had me right there with her throughout her journey in this first novel. To me there was all the right amounts of suspence, surprise, romance and interesting facts that I can't wait to find more about. Oh so cruel to end it there!!!!!! I totally loved this story, it was unlike anything I have ever read before and I am totally hooked. I need to find out more about the True Hun's and their abilities. Who will Ilona choose and what is Elza hiding?? I purchased the Kindle edition yesterday - read cover to cover like an addict - couldn't get enough of Ilona, Bela, Elza and the rest of Erika's cast of amazing characters. Being a retired history teacher, I found the author's voice pulling right along beside her as Ilona discovers not only her own past but her own heritage.A young female doctor with an amazing ability to shift time and heal... what a delightful thought. Not wanting to spoil anyone else's journey let’s just say you can't go wrong venturing into the mind of a HUN in our modern day society. The true Huns make a grand entry into the world of urban fantasy with this book. The revelation of the main character's birthright is well done and one very, very special feature are the musical pictures. Lovely. The execution of the story calls in my opinion - as with many new & indie authors - for a good editor. There are repetitions, inconsistencies and typos/grammatical errors which seriously detract from the unpolished beauty. BIRTHRIGHT BESTOWED by Erika M. Szabo is so original, there is nothing I can compare it to, and I'm happy about it. Discovering an unusual, original story is always a thrill. Ancient, Magical Healing Rituals and family traditions bind this story. Personally, I had no prior knowledge of THE HUNS, yet resonated with them as spiritually evolved earthly beings, who pass down healing knowledge and magical traditions that benefit humankind. The plot and story is extensive and intricate. Ultimately, I resonated with the tale, the characters and their destiny to heal the ills and sorrows of humanity. I was enthralled with the complexity and attention to detail. BIRTHRIGHT is a realistic, dramatic, intense, mystical tale which emphasizes spiritual/physical healing as well as forging humanity to evolve to a higher level at all costs. I look forward to the next book in the series. 5 stars A True Hun? A True Honey of a story! To begin, I love the way Erika starts each of her chapters! Using the meaning of plants as the theme of the section is enlightening and novel. This is the first book in a series about Huns. It is written as a memoir but by various people involved in the action. It is written partly in "Hun dialect" which makes it that much richer! Ilona is the main character. She has "come of age (29)" according to Hun tradition and is suddenly made aware of special "gifts" she has. I love the idea that family members are actually physically kept from telling secrets. I am sure we all heard, "I'll explain when you get older". Unfortunately for Ilona, her parents died before they got the chance to explain. The story flows smoothly with the introduction of many new "gifts" and a twist of fate. Everything is done with attention to detail, even historical notes! My favorite part was the description of Ema's paintings! What a wonderful idea! Well done! Bring on the rest! Ilona the Hun is a woman's woman and a man's woman to boot. The author has created an unforgettable character who sees the world in a singular way. Written with style and and grace, Erika Szabo has stepped into the novel wars with a powerful entry. Read it and enjoy Ilona's sensuality as she adventures where lesser women fear to tread. You may have heard of Atilla the Hun, but Ilona the Hun is an entirely different breed. Unlike most modern romances, this one is quite unique and definitely imaginative. The author writes with English as a second language, which is charming and stylized. Her heroine, Ilona,is a woman with hidden secrets and magical powers which are vividly described. I found this book to be chock full of interesting historical and medical information - and if you love time travel,you'll be well satisfied. It's a great read and a bargain at the price. Cannot wait for the next in the series. In the commencement of this book you are thrown into the unique world of this character and what an intricate mind boggling world it is. Once again Ilona is caught between trying to become the person she is meant to be without the much needed guidance of her parents and understanding and embracing who she truly is. There is an amazing amount of discoveries in store for Ilona in this segment as well as finding true love. The author once again mixes a blend of magic, history and folklore with a bit of time travel thrown in for good measure. I would highly recommend for those readers who have not read the first in this series to do so prior to reading this one as it gives a complete back round to not only many of the characters but the importance of the tribal and mystical concepts that are vital throughout the story. Very well written in a memoir style that brings a little ancient history and folklore to a unique story. While reading I was conjuring up images in my mind and the main character has a real quality about her that has me wondering if she is real or not. There's even some unexpected thrilling moments. I look forward to what I will discover about her in the next book. I received a signed copy of this book as one of the goodreads giveaways, so many thanks to Erika Szabo and Goodreads for this. I really enjoyed reading it, but it ended far too soon for me. The book is well written and easy to read and de-stress too, so I found it perfect to snuggle under a blanket and lose myself in the story. The background context to this book is one of mystery. The main character Ilona is a true Hun and the book (as book 1) is setting the scene, for a journey of self-discovery not just about herself but also her mysterious ancestry. Within the Hun culture, at least in this story, there are a lot of secrets that are not told until you reach certain chronological junctures in life. The first one of these is when they hit their adulthood, at the age of 29. This story begins just before the main characters 29th birthday. As the ‘heroine’ is an orphan she is stumbling her way through finding out some of these secrets. There were times through the book where I felt that as a character I really liked her, at other times she frustrated me. I think this was a deliberate part of her character as she is conflicted between having confidence in her intelligence and certain abilities while having no confidence in herself. The insecurity she has as a woman, and drawn from life events, meant that she had barriers which kept others out, and I also felt kept her caged in (although whether the author would agree I don’t know). Birthright Ilona the Hun Book One is a fantasy romance that reads like a good mystery novel. Steeped in Hungarian legend and natural healing, Ilona is a character with a secret heritage and on the cusp of understanding her true potential. A new attractive Hun comes into Ilona's life, but he is not alone, there is also the strange dark man who seems intent upon delivering evil. With time manipulation, dream weaving and extraordinary healing powers, this is an urban fantasy story that will keep the reader turning the pages. Erika M. Szabo's debut novel is fresh, original and engrossing. “Eternal love triangle, ancient tribal secrets and special healing powers, a great combination! This novel has mystery, suspense, romance and well developed characters that hold reading interests from its beginning to end. The element of the "Huns", a mysterious ancient people with a real historical significance (e.g. Atilla the Hun)and the fact that Ilona the Hun is central to the story, adds even more intrigue. The significance of flowers in the use of language and meaningful purpose was inspiring as well. In short, it is an intriguing work of fiction with all of the right elements to keep it interesting. It was very easy to get absorbed in the characters. One can picture the development of the relationships in these stories. This engages the reader and encourages you to easily continue in the reading of the story. I can picture the story being made into cinema. The art work on the covers are beautiful, an incredible gift, created by her daughter. You will want to pick up the next book. The saga continues. Welcome to the world of the Huns. Enjoy the journey. "I was dreaming. In the dream I was about four or five with pigtails, wearing a ruffled white dress. We were in a grocery store; I was happily hopping and singing, holding onto my mother's hand, delighted to be with her as always. She smiled at me. Her hand was warm and silky, and her lustrous dark reddish hair flowed to her mid-back. She had the deepest blue eyes, framed by long lashes. Her eyes promised love and security. I admired her and wanted to be with her all the time. To my childish disappointment, she was busy for the biggest part of every day. When she could spend the whole day with me, I enjoyed every moment of our time together. I was chattering away, happy she was paying attention to me, only to me. I was telling her a silly story I'd made up, when I saw an old woman fall in the middle of the aisle. I tore my hand from my mother's grasp and ran over to the woman. She was wincing in pain, lying on the floor. I felt my mother behind me. "Momma, she is broken. I want to fix her!" I looked up, hoping for her approval. "All right, sweet pea, you know what to do. Gather the wish in your core and concentrate on it. There you go. You're doing fine. Now, put your hands on her. Don't be afraid, go ahead!" I heard my mother's velvety voice, and I felt her hand on my shoulder. As I touched the woman's hip, I felt warmth emanating from my fingers. A serene, satisfied feeling washed over me." And so starts Ilona's story. If you have read all the prior reviews, you will know something about the plot for this unusual book. If you have only read about "Huns" in your history books, this will give you some insight into their history and people. Ilona is a magnificent woman - a doctor - who has powers of healing that are beyond comprehension. As she learns to deal with her new and somewhat frightening abilities, she also has to juggle two love affairs. This is so different from the usual fare churned out by "ordinary" writers that I highly recommend everyone to take a look at something new and completely different. Ilona, her family and friends are bewitching.....the time travel aspects are breathtaking....and you will learn something useful along the way. An excellent read! "The story of Ilona the Hun: Birthright was so so for me. It wasn't terrible but it just didn't hold my fascination like some plots can. As far as historical facts and information regarding the Hun history and beliefs, this was an exceptional book to read. Just for that purpose, however, wasn't enough for me. It is about a woman named Ilona who turns 29; according to Hun tradition this is one of the three stages of being a true adult. With the coming of this birthday, Ilona begans receiving different powers and abilities that she has no idea how to use. She also meets someone who she believes may be her "soulmate" because she dreamed of him. And to top things off, she has this strange evil man trying to kill her in unusual ways. The chapters are arranged beautifully with the Hun writing at the beginning, as well as the different flowers and their meanings. This was of interest to me and I found it enlightening to understand the different meanings for different flowers. I couldn't really get into the way it was written. It was in journal form but there was just too much inner dialogue from Ilona for me. I guess I wanted a little more action and less talking. I also tended to get confused because Ilona would jump from subject to subject sometimes really fast. The actual story and plot would have been very interesting with the magical abilities and the threat of death, as well as love blossoming, but it just seemed like it went so slow. I also felt like Ilona scared the next minute on her healing abilities but then recalling how she can slow down time all her life. There were parts that were boring and I felt as confused and angry as Ilona. I wished we would have found out a little more about what was the big secret about the Hun tradition but I think the author just wanted to get to that in the second book. The book just kinda stops and that is the end. I was hoping for a little more and you get that in the excerpt from Book 2, but I don't know if it would be enough for me to want to read the second one. 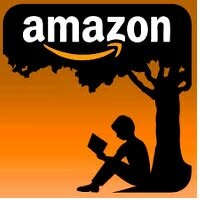 If you are looking for a book with interesting facts about different Hun beliefs then you would enjoy this novel, but if you are wanting a little bit more substance to it with the plot, I would probably pass on this. " "Read this book on a recommendation from a friend and couldn't put it down. The characters were intriguing and mysterious and full of secrets. The story came together beautifully and I can't wait to read the next one." "I WAS THRILLED TO READ THIS BOOK, HAVE STARTED THE SECOND AND CAN'T WAIT TO GET THROUGH IT. IT IS SO HARD TO PUT THESE BOOKS DOWN. IT IS SIMPLY AND UNDERSTANDABLY WRITTEN, I FELT LIKE I WAS RIGHT THERE. THE DESCRIPTIONS GAVE ME CLEAR VISIONS OF THE SCENERY AND CHARACTERS. I LIKE ILONA AND ZOLTAN AS A COUPLE, THEY WERE TRULY MEANT FOR EACH OTHER BUT I FEEL A LITTLE ON EDGE WONDERING WHAT THEIR FINAL DESTINY IS. CAN'T WAIT TO FIND OUT. THERE IS SOMETHING ABOUT RUA'S CHARACTER THAT DEPICTS HIM AS SHADY. OVERALL, THIS STORY IS A PERFECT COMBINATION OF FACT, FICTION, MYSTERY, ROMANCE, MAGIC AND FANTASY. NEEDS TO BE MADE INTO A MOVIE." "I enjoyed it thoroughly. The author tells a wonderful story. Hope to hear more from her. Very descriptive. You can picture everything she says. I would read it again." "My wife got this book when the author gave away a few free copies. She was talking about it for days after she read it and she made me curious. Loved this story! Loved the characters especially Ilona and loved the historical bits a lot. Huns are always depicted as barbarians and almost living in the story made me changed my mind about them after I looked up some facts mentioned in the story. There is humor, magical realism, love triangle and plenty of mysterious events to keep you reading. It is not just a chick book guys, you won't be sorry if you read it. " "This is a wonderful read with lots of interesting information from a group that I have never read about before. The book really moves and takes you some very interesting places. We have a new writer on our hands, folks! " "Erika has done it again... filling my mind and heart with images and emotions so intense I had to back away for a moment just to catch my breath. She invites her readers into the secret depths of her character's hearts... a place beyond closed and locked doors where she bares their souls as they seek to navigate the dangerous waters of life. An amazing read created by the strong heart of a wonderful and courageous author. I consider this novel a treatise on personal courage. Keep 'em coming Erika! " "What a great exciting read. There are tons of mystery and suspense that take you on a thrill ride to the end. The story keeps you guessing and asking what does all this mean? What are her "gifts" and what does the mystery all about. The other part that I found intriguing was the love triangle in this story, which is unlike any other I have read. You have her best friend who she has loved all her life and then you have the mysterious stranger who she drawn to at a soul searching level. This is a great read that levels you on a roller coaster ride with all the twist and turns! " "I received a signed copy of this book as one of the goodreads giveaways, so many thanks to Erika Szabo and Goodreads for this. I really enjoyed reading it, but it ended far too soon for me. The book is well written and easy to read and de-stress too, so I found it perfect to snuggle under a blanket and lose myself in the story. As the `heroine' is an orphan she is stumbling her way through finding out some of these secrets. There were times through the book where I felt that as a character I really liked her, at other times she frustrated me. I think this was a deliberate part of her character as she is conflicted between having confidence in her intelligence and certain abilities while having no confidence in herself. The insecurity she has as a woman, and drawn from life events, meant that she had barriers which kept others out, and I also felt kept her caged in (although whether the author would agree I don't know). I would definitely recommend this book as one to read; in fact I'm after the second part myself. " "This is a great book. I enjoyed the characters, very likable and easy to relate with. The story line is engaging, I loved learning about the Huns and their beliefs. Such a new a different type of book, I hope there is a squeal. " "This is a story about Ilona who was born a True Hun. She lost both of her parents in a car accident at a young age. She always felt the need to heal people and grew up to become a doctor. At the age of 29 everything changed. She became aware of some mysterious healing powers that she had, but didn't know exactly what to do with them. Her mother died before she got a chance to explain the powers to her. While trying to figure out her new found powers, she encounters a mysterious evil looking man. Every time the man appears, Ilona finds her life in danger. Ilona meets a handsome young doctor named Zoltan. It is love at first sight. He saves her life several times by using his time travel powers. Together they vow to find the hidden secrets of their powers as Huns. I enjoyed this book and look forward to the sequel. " "I loved this book - the story is about Ilona, a girl who is descended from the Huns. She is a doctor, but on her 29th birthday she finds herself with extra healing powers - plus she meets a man and must determine if he is her soul mate. The story id very engaging, and I liked all the detail about the Huns and their beliefs. I could hardly put the book down, and the ending left me wanting to know more! I thought it was a very good fantasy type novel, and would be interested in reading more of Ilona's story. " "As an adopted Hungarian, I was intrigued by the title. While the book is in the fantasy genre, I learned interesting facts about Hun history from the story which gripped me right from the beginning. It started a little slow and some parts could have been a little more streamlined, yet as I persisted the story unfolded play out like a movie in my mind. Ilona's my kind of woman! I love her naivety & honesty and personally identified with her inner struggle in discovering and adapting to her powers. I liked the scenes set in the hospital where Ilona and Zoltan are both doctors, and the reference to Hungarian history added a special mystery to the story. I couldn't help but think that there was something not very savory about Zoltan (gosh! I love his name!). I ended up rooting for Bela, urging him to tell Ilona about his real feelings for her. Overall a real fascinating story. Can't wait to read the second book to find out more about the mysterious world of the Huns and to see if my premonition about Zoltan is correct. Laxmi Hariharan, Author of The Destiny of Shaitan "
"Although different from what I normally read, I found myself emerged into the fantasy world of the Huns from the very beginning, and I loved it. The characters are easy to connect with; I felt for them from the beginning and wanted to know what was going to happen to them. Ilona is a strong heroine with abilities that she is just beginning to understand. I liked the complicated love/friendship she has with her best friend Bela and the new emerging relationship with Zoltan. It provides for a great love triangle that I'm looking for to reading more about in the next book. The mystery of the dark man pursuing Ilona and the secrets that her loved ones are keeping from her left me wanting more. I would recommend this book to anyone who enjoys mystery and fantasy as it contains both. " A great story for anyone who loves mystery and romance! I loved the suspense and mystery surrounding her gifts and her family. It was really sad at times when she was dealing with things that were happening to her and she really didn't have anyone she could talk to. I also loved the inner turmoil she had trying figure out her feeling she was having about her best friend and the new handsome man who entered her life. There is also some action with a mystery man who keeps turning her life upside down and making bad situations appear at every turn.. I will stop there so I don't want to give anymore away! READ & ENJOY!